Author Roulette: Spin to Win! Looking for a way to spice up your book club? Come to our Author's Luncheon on October 19th for your chance to spin to win an author at your next meeting! By making a donation at our Teen Services Author Roulette table, you will be given the opportunity to spin our wheel of fate and bring one of the following authors to your book club. Kathy Aarons is the author of Death is Like a Box of Chocolates, the first in the bestselling Chocolate Covered Mystery series. It was chosen by Mysterious Galaxy for their Fabulous First Books Club and as a Top Book of 2014 by the San Diego Union Tribune. The second and third books in the series, Truffled to Death and Behind Chocolate Bars, are also out now. Michelle Gable became a New York Times bestselling author for her debut novel, A Paris Apartment. She found herself writing about the City of Lights yet again in her second novel, I'll See You in Paris, which she wrote between her daughters' softball games and a day job as VP of Investor Relations for Ellie Mae. Kim Hooper's debut novel, People Who Knew Me, tells the story of a woman who leaves everything behind and jets off across the U.S. to begin a new life in the aftermath of 9/11. It's a compelling story of loss, desperation, and reinvention that invites the reader to answer "What would you do?" 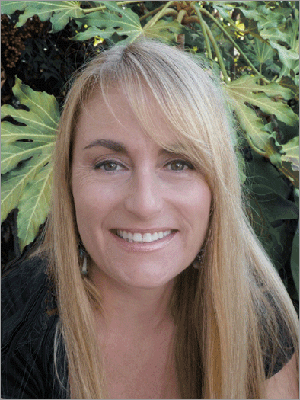 Shelli Chosak is the author of the award-winning self help book, Your Living Legacy. Chosak was inspired by personal loss and her career in psychology to write a book that allows parents to become self-aware and confident in guiding their children through life. Elizabeth Cobbs' newest novel, The Hamilton Affair, tells the story of the remarkable life of Alexander Hamilton and his courageous wife Eliza Schuyler. Cobbs writes fiction and non-fiction books that inspire readers to take fresh, unexpected perspectives when looking at our history. Jen Coburn is a USA Today best selling author of six novels and contributor to four literary anthologies. We'll Always Have Paris recounts Coborn's adventures through Europe with her daughter, Katie, and encompasses everything from Parisian cafes to the Leaning Tower of Pisa. Laurel Corona tells the story of a woman living in a country violently divided by religion in her newest novel, The Mapmaker's Daughter. It has recently been chosen by the Jewish Book Council as one of a handful of books that are recommended to members of the National Jewish Book Club. Tammy Greenwood is the author of nine novels. Her latest book, Where I Lost Her, follows one woman's journey through heartbreak and loss as she searches for the truth about a missing child. Neal Griffin's first novel, Benefit of the Doubt, landed him on the Los Angeles Times bestseller list and set the stage for the future Newberg Mystery Series. His sophomore novel, A Voice from the Field, is a thrilling mystery that draws from Griffin's long career in the police force. Jill Hall's debut novel, The Black Velvet Coat, tells the story of two women brought together by a magical coat. The experience takes them on a journey of self-discovery and forces the women to face their deepest fears. Hall turned to writing after a long career in education, and has also published poetry in a number of anthologies. Mike Sager is a best-selling author and award-winning reporter who has been called "the Beat poet of American journalism." For his stories, Sager has lived with a crack gang in Los Angeles, Palestinians in the Gaza Strip, a Mormon family in Arizona, and U.S. Marines at Camp Pendleton, among others. Susan Meissner is a multi-published author, speaker, and writing workshop leader with a background in community journalism. Her novel Secrets of a Charmed Life was named a 2015 Goodreads Choice Awards Finalist. Dr. Julie DuCharme's book Leading By My Ponytail highlights the strength of femininity and the unique value it brings to the workplace. In addition to being an author, Dr. DuCharme is a public speaker, coach, mentor, and college level instructor. Susan Carol McCarthy is an award-winning author of three novels inspired by real events in Florida's history. Her most recent novel, A Place We Knew Well, investigates the sociological affects of the Cuban Missile Crisis on an ordinary Florida family and their community. Make sure to donate at the Author Roulette table for your chance to bring one of these acclaimed authors to your book club! For more information about our Author's Luncheon, or to purchase tickets to the event, please visit the Author's Luncheon tab at the top of this page.